Frankie Valli and the Four Seasons: a teenaged Tony Soprano’s make-out music. Italian American kids from New Jersey matched their more vaunted West Coast contemporaries hit for hit. In September 1962, the same month that the Beach Boys’ first hit single, “Surfin’ Safari,” peaked on the second rung of the charts, the Four Seasons had a smash with “Sherry,” staying at No. 1 for five consecutive weeks. 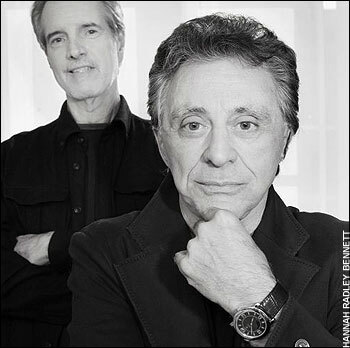 Driven by Frankie Valli’s stratospheric falsetto, “Big Girls Don’t Cry” also perched atop the charts for five weeks at the end of the year, and in early 1963 “Walk Like a Man” became the Four Seasons’ third consecutive No. 1. While the Beatles created a cultural upheaval when they appeared on “The Ed Sullivan Show” in February 1964, “The Four Seasons featuring the sound of Frankie Valli,” as they were billed because “Frankie Valli and the Four Seasons” would’ve been mathematically incorrect, were stuck in the days when guys stood on streetcorners and harmonized. And they were from New Jersey, for crying out loud. The Four Seasons didn’t have an angle – they just had hits, baby. “We never cared about publicity,” says Bob Gaudio, who wrote most of the group’s classics and played keyboards. The Four Seasons came up in a time and place where you were taught to keep your mouth shut when people came around asking questions. Two of the members had done jail time for burglary and possession of stolen goods. Because the clubs they played coming up were owned by members of the Mafia, there were whispers that the group was “mobbed up.” Distancing himself from the tough neighborhood “goombahs,” singer Frankie Castelluchio changed his last name to Valli. “The environment we came up in was like ‘The Sopranos,’ only it wasn’t a TV show,” says Gaudio. 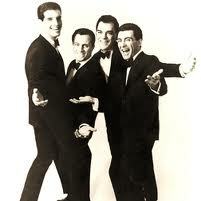 That the glare was on more glamorous or newsworthy acts was fine for Valli, Gaudio, Tommy DeVito and Nick Massi. Somehow they must’ve known that their underdog story would eventually be told. But nobody could’ve predicted the overwhelming success of “Jersey Boys,” the Broadway musical about the rise of the Four Seasons, which begins a two and a half-week run at the Bass Concert Hall on Wednesday. The play, written by former Woody Allen collaborator Marshall Brickman and playwright Rick Elice, won four Tony Awards in 2006, including Best Musical. Though a musical based on the Beach Boys (“Good Vibrations”) wiped out on Broadway in 2004, “Jersey Boys” is still going strong at the August Wilson Theater, and touring companies play to packed houses all over the world. The lamppost shines brighter than the sun. Every Beach Boys story has been told in countless books, but there had not been a Four Seasons biography leading up to “Jersey Boys,” and so Brickman and Elice based the play on interviews with Valli and Gaudio, as well as a never-published autobiography by DeVito, whose gambling problems led to his exit from the group in the late ’60s. Keith Richards, Mick Jagger- Italian Jersey style. The script finds Gaudio encouraging Valli to go solo when the Four Seasons’ run seems ready to wrap up. Then, shockingly, the group returns in 1976 with its biggest hit ever, the Gaudio-penned “December 1963 (Oh, What a Night).” Valli and Gaudio were together again at the premiere of “Jersey Boys” in La Jolla, Calif., on Oct. 5, 2004. When “Jersey Boys” hit the Great White Way in October 2005, the New York theater community was skeptical of yet another “jukebox musical.” But the show’s producers knew they had something special, not just a flimsy script setting up a catalogue of hits, so they wisely played five weeks of previews to build word of mouth. Oh, what a night! The show’s official Nov. 6, 2005, bow on Broadway attracted probably the most raucous crowd in theater history, as fans stomped and hooted and cheered to the music that helped define their past. A celebration of not only the Four Seasons but also of Italian American culture and a state of underdogs, who were never hip enough, savvy enough or classy enough to live in Manhattan, “Jersey Boys” has been almost a religious experience to many. “There’s no bigger place for a Jersey boy to be than opening a play on Broadway,” says Gaudio. New Jersey’s victories just seem bigger, because the state has been ridiculed for so long. There was no mystique to the music that put doo-wop to an irresistible rock/pop beat. 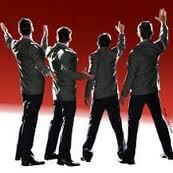 But five decades after Valli and Gaudio shook hands, “Jersey Boys” has elevated the Four Seasons to cultural icons. Sometimes it’s worth the wait because, as the old neighborhood guys knew, the vig on the payoff just keeps getting bigger over time. This entry was posted on August 3, 2011 at 4:51 am	and is filed under Music. You can follow any responses to this entry through the RSS 2.0 feed. You can leave a response, or trackback from your own site.